You first sign up to MBM for free by filling out a beauty quiz; your answers to the questions on your skin type, concerns, hair texture and more will then determine the products best suited for you and your needs in terms of a best match, then a second best match and also a third best match. 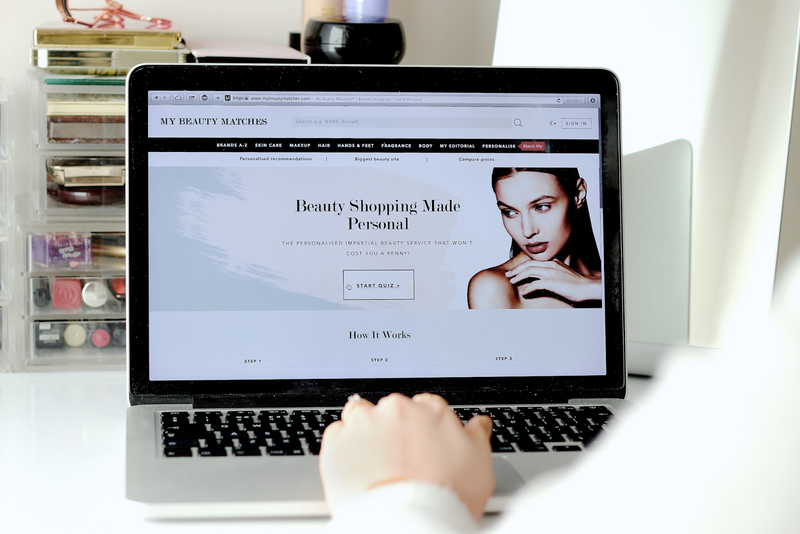 Altogether, the beauty database has over 350,000 products across skincare, makeup, hands and feet, fragrance and body care, from both high street and high end brands, including an incredible range of vegan and cruelty free, covering all budgets from 3000 retailers. The site also uses a price comparison function, meaning you're always offered the best deal on your products. For example, I was after a new bronzer and based on my beauty profile, the RMS Beauty Buriti Bronzer was recommended as one of the top matches best suited for my wants, needs and concerns - I'd noted that my skin is particularly dry and dull and so this creamy, glow-giving sun-kissed colour came out as a recommendation for me. For the majority of products I searched through, a vegan or cruelty product came out as one of the top recommendations almost every time, however, MBM hopes to soon build in a filtering system to specifically pick these out.